When it comes to gaming Nintendo has always been ahead of the pack and the Switch has reminded us of this once again. When Nintendo unveiled the Switch a few months ago, many of us were dying to get our hands on it and learn more about it. Now we finally have all the answers to our questions. To start things off the Nintendo Switch will be released in all regions on March 3rd, and cost $299.99. The switch will be bundled with two Joy-Con controllers and a handful of accessories including two wrist straps, a Joy-Con grip, and a USB Type-C AC adapter. Unlike many of Nintendo's other devices, the Switch will not be region locked. 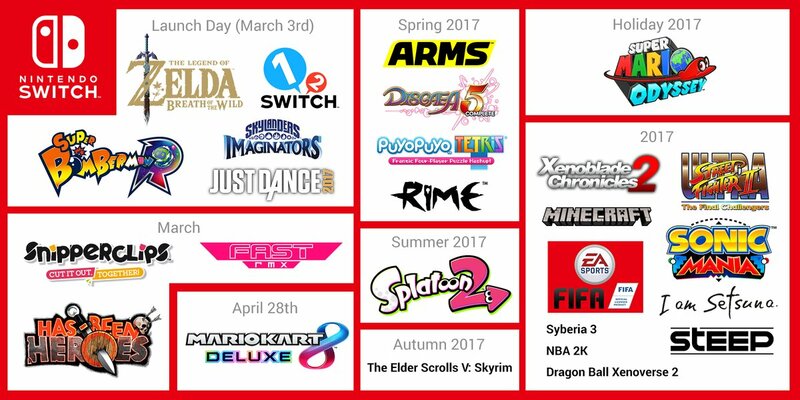 The Switch will be utilizing cartridge based games, and include monthly free games (free game will only be playable for a month). The Nintendo Switch will be a console to fit many different play styles. 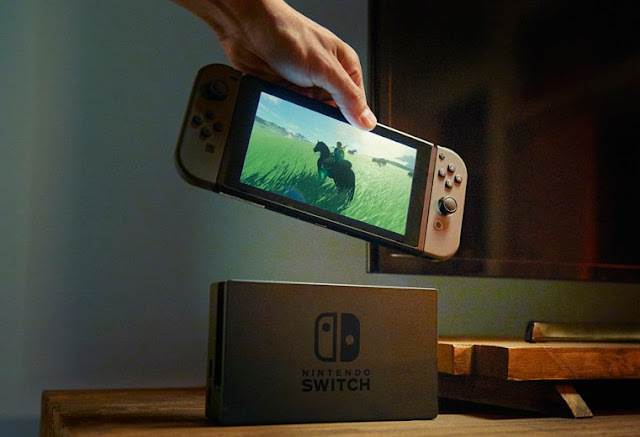 When you play the Switch on the television using the docking stations (depending on the game), you will be playing at 1080p 60fps. When undocked you will be playing at 720p with between 2 1/2 to 6 hours of battery life. 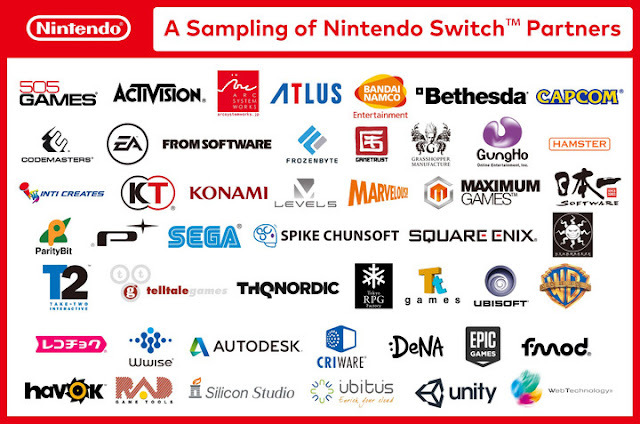 Launch titles for any console are crucial for its success, and it looks like the Switch will be coming out with some great games. First-day launch titles include Zelda: Breath of the Wild, Just Dance 2017, Skylanders Imaginators, Super Bomberman, and 1 2 Switch. I wouldn't be surprised if we got some additional ports of popular Wii games. No matter your play style it seems like the Switch has something to offer to anyone. 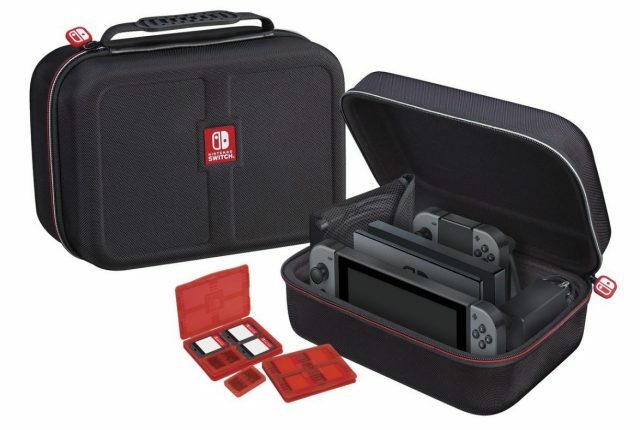 If you are loving the Nintendo Switch, I would highly suggest you think about preordering because I would be surprised if these things sell out fast. Stay tuned for any new developments with the Switch!